As a born and raised Calgarian, Ramanjit is proud to be a part of a diverse and vibrant city. After obtaining his Bachelors of Law (LLB) from the United Kingdom at the University of Leicester in 2012, Ramanjit returned to Calgary to begin his career with a small group of lawyers. This allowed him to gain experience in all areas of the legal process, representing his clients in Alberta Courts. Over time Ramanjit realized his true passion for law would be better suited by working one on one with clients through his own law practice, leading him to venture out and create his own firm, Mann Law. Ramanjit has a successful track record regarding federal and provincial criminal matters. Ramanjit takes the time to provide you with the right amount of knowledge regarding the judicial system, as it relates to your case, without leaving you overwhelmed or uninformed. Ramanjit’s focus is to always ensure the client’s rights are represented and advocated for. Ramanjit has established himself as a reliable personal injury attorney concentrating on lawsuits involving death and serious injury. With his experience and skills, he will help you get the maximum settlement that you are entitled to, and won’t settle for anything less. Criminal Law and Personal Injury cases are complex and demand a dedicated experienced lawyer. 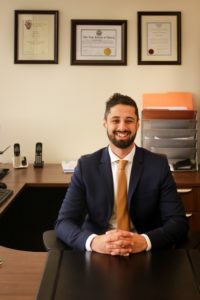 Ramanjit is directly involved with each client case, and he is ready to fight for your rights and ensure that you are given every benefit of the law. As a life-long Calgarian, Ramanjit has links to many communities in the city. He is able to communicate with clients in Punjabi as well as Hindi. When not working for his clients, Ramanjit can be found volunteering or hiking and traveling with his wife.